EPHA launches its Manifesto for the European elections 2014 – "The Europe we want is for all ages"
The last five years have been difficult for many people living in Europe. Unemployment, cuts to social support, lack of access to finance and the impacts of austerity have taken their toll on people, their health and their faith in the political processes and even democracy. In its Manifesto for the European Parliament elections, the European Public Health Alliance (EPHA) calls on political parties and individual Members of the European Parliament (MEP) candidates to ensure that health and well-being in Europe are ranked as high as they are valued. The 2014-2019 legislative term presents the opportunity for the European Parliament to repeat its commitment to the well-being and health of people living in Europe by pushing these priorities up the political agenda. As we have seen, the European project has been under threat, but bringing the activities of the European Union in line with the priorities of its people is essential for both a democratically accountable Europe, as well as one that genuinely builds an economy which serves its people and the environment they live in. We need strong leadership and a strong vision to reconnect European citizens to decision-making processes in the EU. Health, including mental health, is consistently identified among top areas of concern for European populations: to demonstrate the relevance of the EU to its citizens, Europe must deliver on the issues that matter to citizens, and not just to markets. The EPHA Election Manifesto is an appeal to MEP candidates to ensure the Europe 2020 strategy prioritises and delivers people’s health and well-being. “‘Business as usual is not delivering for Europe, nor for people living in Europe. To reach the goal of smart, sustainable, inclusive growth and fulfil targets, such as lifting 20 million Europeans out of poverty, employing 75% of the active population and reducing school drop-out rates below 10%, we need to ensure we are using tools that achieve these objectives and targets and not undermine them,” reads the manifesto. 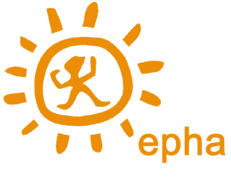 For more information, you may visit EPHA website here.